Ex-Beatle’s first car to be auctioned at 2013 Goodwood Festival of Speed. For the true car aficionado, there are perhaps a handful of events on the automotive calendar each year that warrant a “must-see” designation. The Goodwood Festival of Speed is certainly one of these. Over the course of a single weekend, visitors can get up close and personal with a number of World Drivers’ Champions, past and present, and sip Veuve Clicquot on the lawn while watching these drivers take to the hill climb course in race cars from every conceivable era. At Goodwood this year (July 11 to 14), a very noteworthy car will make a guest appearance—and that car is for sale. 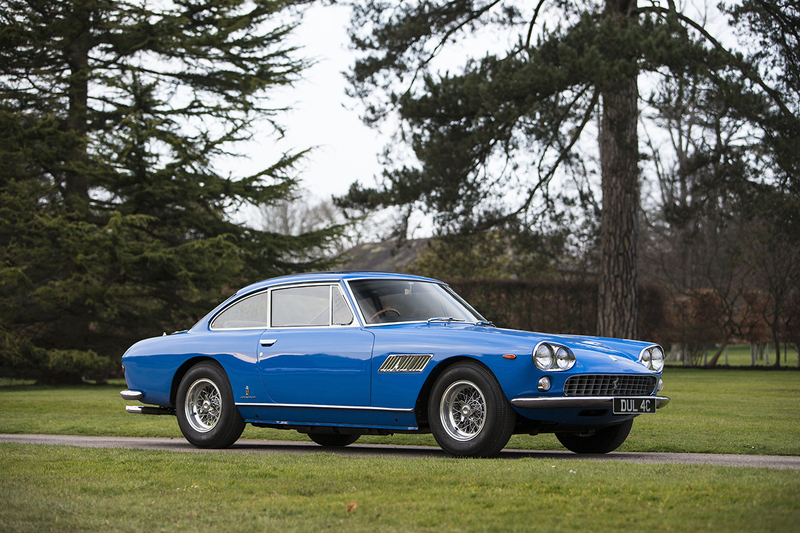 The model is a 1965 Ferrari 330GT Coupe, a beautifully restored example with all matching parts. As there were only 500 of these cars ever built, the Ferrari has a fair amount of value as a collector car already; given that this was the first car owned by John Lennon, its provenance is close to impeccable. Legend has it that the ex-Beatle received his driver’s license at the age of 24; within hours, salesmen from a number of elite car companies were knocking on Lennon’s door in Surrey, eager to sell him his first car. With the release of the Beatles’ No. 1 single in April 1965, the appropriately titled “Ticket to Ride,” Lennon and his bandmates had plenty of money to spend on all sorts of extravagances. The salesman from Ferrari won the day and, for three years, Lennon drove the 330GT Coupe, putting some 20,000 miles on the clock. Fast forward some 48 years and the same car is set to be auctioned at this year’s Goodwood Festival of Speed by Bonhams, one of the world’s leading automobile auction houses. The car, which cost Lennon £6,500 in 1965, is expected to fetch between £180,000 and £220,000 (approximately $285,000 to $350,000 Canadian) when the gavel finally falls on Friday, July 12. More on the Goodwood Festival of Speed.